On Saturday morning, ISIS militants released a new video which purportedly shows the decapitated body of "security contractor" Haruna Yukawa, one of two kidnapped Japanese nationals the Islamic State demanded a $200 million ransom for earlier this week. 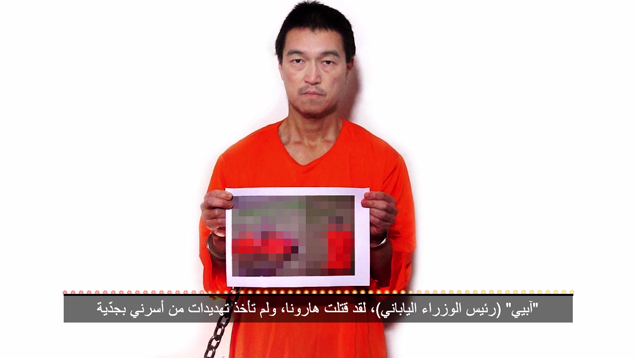 The video shows a static image of the second captive, journalist Kenji Goto, holding a printed photo of Yukawa's corpse. Over the image, a voice claiming to be Goto reads a statement blaming the Japanese government and Prime Minister Shinzo Abe for Yukawa's death. "Abe, you killed Haruna," the voice says. "You did not take the threat of my captors seriously and you did not act within the 72 hours." The voice goes on to demand the release of "imprisoned sister" and alleged attempted suicide bomber Sajida al-Rishawi in lieu of money, "so you don't need to worry about funding terrorists." 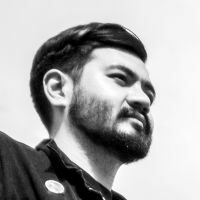 The Japanese government is currently trying to verify the video, which is a significant departure from previous, largely similar ISIS beheading videos. According to The New York Times, Japan has paid for the release of hostages at least once before, "spending $3 million to secure the release of four mining experts held in Kyrgyzstan."